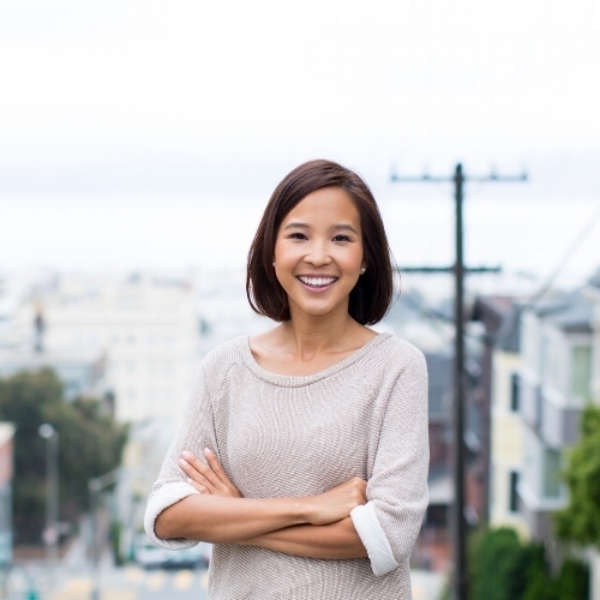 Yunha Kim (5’4’’) is the founder of Simple Habit which is essentially the Spotify of meditation. Simple Habit brings together world-class meditation experts all in one place. Ranging from mindfulness experts at Google to former monks, these experts offer guided meditations for a variety of goals and needs. The idea for Simple Habit was born out of Yunha’s own experience with her first startup, Locket, a company that helped users make money in exchange for viewing ads on their mobile lock screens. Having been a risk taker from a young age - Yunha moved from South Korea to the United States for high school when she was 14 years old - Yunha left her job in investment banking at age 23 to pursue Locket, knowing that she might be out of a job if Locket didn’t succeed. Locket grew rapidly, and by the time it was purchased by Wish in 2015, Yunha was completely burned out and having trouble finding ways to relax and give herself time to recharge. She found that short meditation sessions were the best way for her to relax, and it sparked the idea for Simple Habit, which helps people get the benefits of meditation in just five minutes a day. Each five-minute session focuses on a common situation or mood, whether it’s before a job interview, getting over an ex, or unwinding after work. The flexible, on-the-go nature of these meditations allows people to enjoy the benefits of meditation no matter where they are or what they’re doing.